Upon seeing this scene unfold, Prince Boundless Heaven beamed. This was precisely the result he wanted. The punk was arrogant and made a huge enemy out of the Pillheart Sect on his first trip to Cloud Pool City. What's more, the prince was shocked to find that Yi Yun was not noticed by anyone in the crowd. Prince Boundless Heaven was displeased by this as it would mean that the punk would get off way too easy. "I know your surname is Yi, and I, Su Muyan, do not fight nameless characters. State your name!" The Pillheart Sect disciple that had a close relationship with Manager Su bellowed. He wanted to redeem the shame of Brightheart Veranda closing down. Instantly, many people stopped in their tracks. No one entered the immortal pavilion for the time being as they eagerly waited for the situation to pan out. They were happy to see such conflict. It was very clear that Prince Boundless Heaven was extremely hostile towards Yi Yun. He had loudly announced Yi Yun's ident.i.ty and deliberately mentioned Yi Yun's victory over the Pillheart Sect's alchemist. It was apparent that his goal was to put Yi Yun on the spot. At that moment, Prince Boundless Heaven continued, "I would also like to know of Young Master Yi's name. I previously heard people address you as Sect Master Yi before I learned of your surname…" Prince Boundless Heaven said as he gave a faint smile at Jing Yuesha. When he said that, many people were taken aback. Yi Yun was just an eighth-storey Dao Palace warrior and he was a sect master? How small was this sect to allow an eighth-storey Dao Palace warrior be its sect master? It was probably a small sect established by the punk himself just so he could call himself sect master. "Young Master Yi, you have become sect master at such a young age. You truly have a promising future. 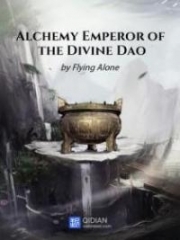 That combined with the unparalleled alchemical skills you demonstrated previously makes me very interested in acquainting myself with you, Sect Master Yi. In the future, Sect Master Yi might become a master alchemist. If you even reach seventy or eighty percent of Master Su's level, I would be greatly uplifted by counting on the future Master Yi." Prince Boundless Heaven said all this with a beaming smile. He repeated the words 'Sect Master Yi' but any sensible person could tell that he did so sarcastically. In the eyes of many, Yi Yun's t.i.tle of sect master was like if a bunch of farmers gathered for a revolution, and the leader called himself an emperor. It was especially laughable at the Heavenly South Peaks Meet. After all, anyone that dared to call himself sect master at the meet was a legitimate hegemon of an entire area. 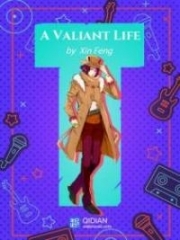 As for the praise Prince Boundless Heaven lavished—about Yi Yun matching Master Su's level in the future—he was deliberately aggravating the situation for Yi Yun. The surrounding Pillheart Sect disciples were already disgruntled that Yi Yun had taken down the Brightheart Veranda. Now, they blew their tops. Master Su was an esteemed figure in the Pillheart Sect. Countless disciples made emulating Master Su their goal but they also knew that they had little hope of reaching anywhere near his level. It was a fool's dream to say that the punk in front of them could come close to Master Su's achievements. The crowd could tell that Prince Boundless Heaven was clearly trying to put Yi Yun on a pedestal only to watch him fall. Yi Yun was unperturbed by the many gazes locked onto him. He looked at Prince Boundless Heaven and, after a heavy moment of silence, he gently fanned his nose. No one knew what Yi Yun was doing. Some thought that Yi Yun was completely dumbfounded, having never been placed in such a hostile situation. Then, they saw Yi Yun turn to Jing Yuesha and say, "I just mentioned a while ago that I kept smelling a stench. So it's this person in front of me. He must have eaten too much ancient Fey feces essence and doesn't even realize that his mouth stinks. Here he is shouting loudly, spreading his mouth's stench. He completely lacks civic-mindedness and the makings of a gentleman." When Yi Yun said those words, everyone was dumbfounded. The smile on Prince Boundless Heaven's face froze up, giving him a weird constant grin. It took him a few seconds to subconsciously close his mouth. Following which, Then, his expression turned sullen and black like the bottom of a wok. Upon hearing these keywords, Prince Boundless Heaven nearly crushed his teeth from gritting them. 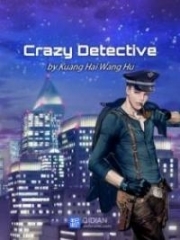 Although he had targeted Yi Yun, he was doing it through sarcastic means. On the surface, he was still praising Yi Yun. He took pains to keep up the decorum expected of high society, but Yi Yun went right for a personal attack! Prince Boundless Heaven was of high standing and naturally held Brightheart Veranda's highest level VIP card. As he was always courting Princess Redjoy and she was an advocate of Brightheart Veranda and even held her birthday celebration there, it meant that Prince Boundless Heaven frequently ate at Brightheart Veranda with Princess Redjoy. Of course he had eaten the specialty, Love Seeking Phoenix In Clouds, countless times. It was impossible to be completely unperturbed by the issue. Who knew that Yi Yun would use this fact to mock him at the grand exchange meet in front of so many famous and important people? Prince Boundless Heaven felt like even his gallbladder was filled with fury but he was at a loss for a retort. The b.a.s.t.a.r.d was indeed as Princess Redjoy described. He was extremely arrogant, and such a person only brought out his killing instincts. Standing beside Yi Yun was Jing Yuesha, who laughed out loudly. She too was someone who was unafraid of anything. Prince Boundless Heaven had nothing to do with her. She was not from the Outcloud Empire after all. "Sect Master Yi, now that you mention it, I actually do smell it." As she spoke, Jing Yuesha retreated a few steps back with a look of disgust, widening the gap between her and Prince Boundless Heaven. This action no doubt tried Prince Boundless Heaven's nerves. His face turned green. The only outcome of his targeting of Yi Yun was to remind everyone that a reigning prince, a strong contender for the t.i.tle of crown prince, had eaten s.h.i.t at Brightheart Veranda every meal. 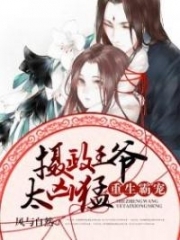 Yi Yun and Jing Yuesha's exchange not only made Prince Boundless Heaven feel like a r.e.t.a.r.d, it also made the people of the Pillheart Sect uncomfortable. The Brightheart Veranda represented the Pillheart Sect. A problem with the Brightheart Veranda's dishes was a mark on their Pillheart Sect's reputation. "This punk is too arrogant. I truly can't stand him," said someone to Su Muyan. Su Muyan nodded with a sullen expression. "Ignoring the feud with Aunt Su, just his sarcasm at the Pillheart Sect is something I will make him pay for. After this exchange meet, I'll make him regret that he ever lived in this world." The Pillheart Sect disciples nodded in unison. "Since this Yi fellow isn't willing to give his name, I have no interest in knowing either. After the exchange meet, I'll challenge him. Be it alchemy or martial arts, he is free to choose!" Su Muyan declared. He did not think lightly of Yi Yun but he was absolutely confident in himself. He wanted to redeem the Pillheart Sect. Although his voice wasn't loud and he had said it in private to the other Pillheart Sect disciples, everyone present was a warrior. Many people heard his claim. Everyone immediately turned excited. They loved seeing such conflict. In a way, it could be considered as an appetizer for the Heavenly South Peaks Meet. "Sect Master Yi, it seems that Su Muyan wants to challenge you," said Jing Yuesha with a smile. Yi Yun shook his head. If he accepted every challenge that came his way, especially from no-name disciples, that will only reflect badly on him. 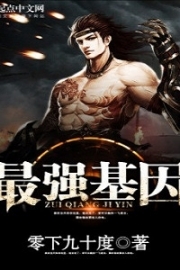 You're Read True Martial World Chapter 1313 online at NovelOnlineFull.com. You can use the follow function to bookmark your favorite novel ( Only for registered users ). If you find any errors ( can't read,broken links, can't load photos, etc.. ), Please let us know so we can fix it as soon as possible. And when you start a conversation or debate about a certain topic with other people, please do not offend them just because you don't like their opinions. You're reading True Martial World. This manga has been translated by Updating. Author(s): Cocooned Cow,蚕茧里的牛. Already has 6557 views. Current Time is 21-Apr-2019 03:06:56 AM.